I am delighted to welcome back my friend and neighbour Janet Kellough to Type M. She's got a fascinating new venture to tell us about. The Thaddeus Lewis books are full of mid-19th century Canadian history. I know, it’s a topic that makes most people roll their eyes. But hey – throw in a murder or two, have your sympathetic hero solve the puzzle, bring the story to an end in a satisfying manner, and presto chango you can actually get people to read history! I’m not the only one who has realized this. There are whole series built around things like cooking, Christmas, bird-watching, archaeology - subjects that obviously fascinate the writer and that she wants to tell you something about. It’s frequently fascinating stuff, but it’s the need to find out whodunit that keeps you reading. 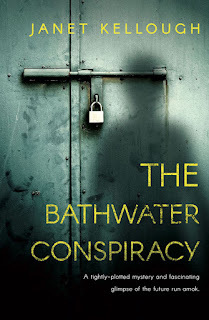 My latest book The Bathwater Conspiracy is different from anything I’ve written before. It’s speculative fiction, the story set in an imagined “what if” place where it would have been all too easy to just make stuff up. I could have invented alien races, given my protagonist super-powers, created technology that would solve everything in the flash of a computer chip. But I didn’t want to write that. I wanted a story that had its feet planted firmly in a credible scenario. And in the same way that the Thaddeus Lewis books draw their fictional plots from real, documented history, real scientific principles are woven into the plot of The Bathwater Conspiracy. I figure the best science fiction holds a mirror to present day society, and I had some things I wanted to talk about – things like bioethics, gender, religion - so for me, it was a no-brainer. 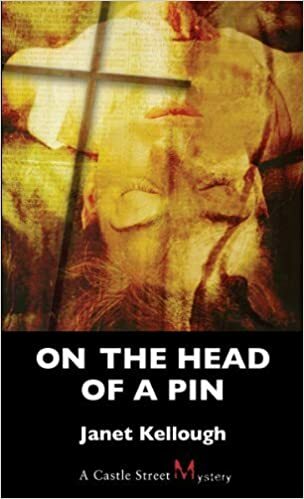 I turned again to that wonderful mystery structure that lays out the premise and then invites the reader to consider all plausible explanations within the framework of the setting. Right up front, there’s a dead body and a puzzle and a cop who wants to know what’s going on. Because the story is set in a mythical future, I can present possibilities that don’t exist in our own world – unusual suspects, unfamiliar settings, unique plot twists. But because it’s a mystery, familiar motives like ambition, lust and jealousy find a very comfortable place in the story. And as long as I keep the plot consistent with the world I’ve created, the mystery structure will spin merrily away, driving the plot forward and offering the astute reader an opportunity to solve the puzzle before the protagonist does. 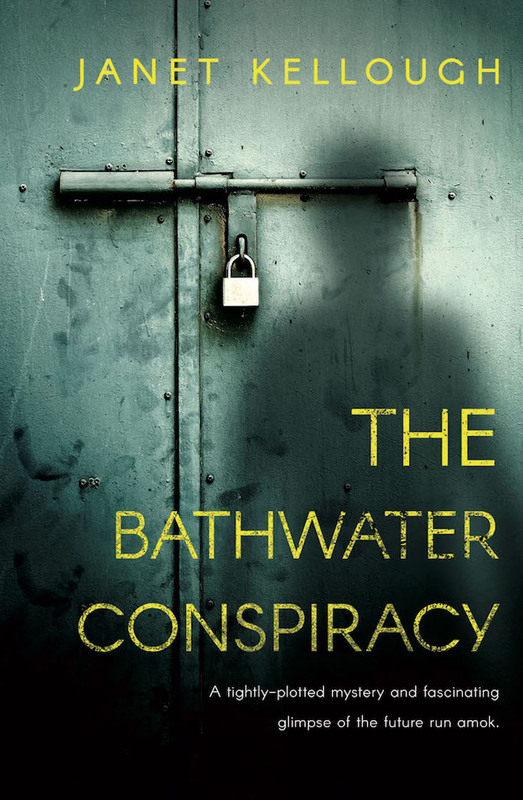 So should you file The Bathwater Conspiracy under Science Fiction or under Mystery? As much as I dislike the North American habit of labeling books by genre, I have to admit that it’s a complete mash-up – a speculative fiction/mystery/police procedural/post-apocalyptic thriller. But at the very core of it that lovely mystery skeleton holds everything together and keeps you reading until you find out “whodunit”. 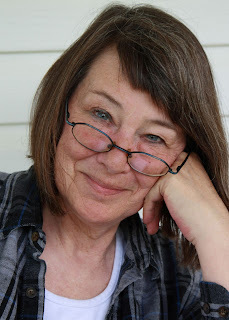 Janet Kellough is the author of The Thaddeus Lewis Mystery Series and the stand-alone novels The Palace of the Moon and The Pear Shaped Woman. Her newest novel The Bathwater Conspiracy was released this month by EDGE Science Fiction and Fantasy Publishing. Janet, thanks for gracing our blog once again with your presence. Break a leg with the new book!